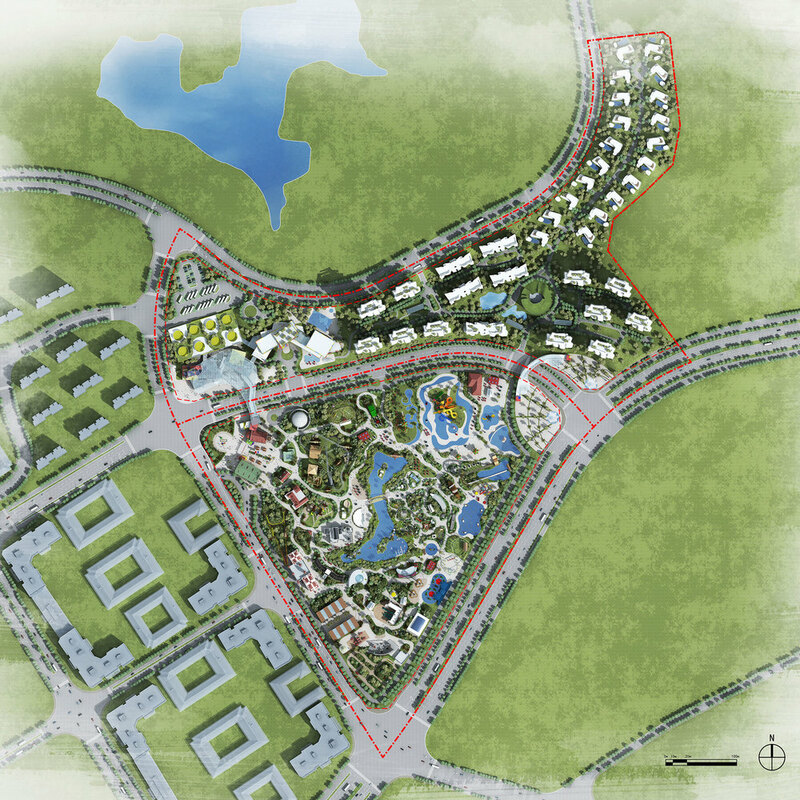 Qingyuan Resort is located to the south of Qingyuan Lianhu Industrial Park and covers an area of roughly 17.3 hectares with a planning area of 13.7 hectares. 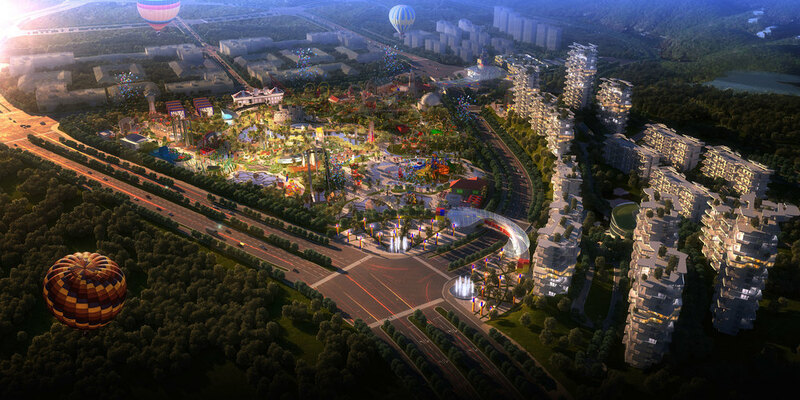 The site is adjacent to a well-known theme park by the name of Changlong and is currently a popular tourist destination. 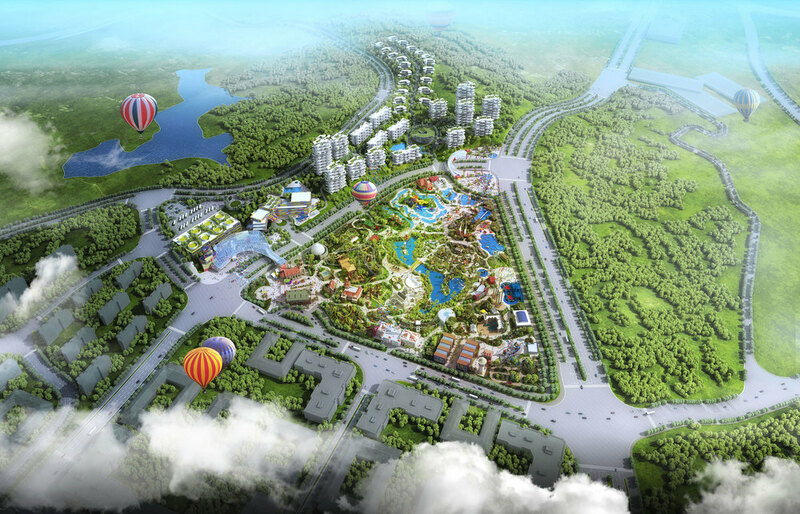 To take advantage of the existing tourism the idea for the Qingyuan Resort is to introduce China’s first Lego World. 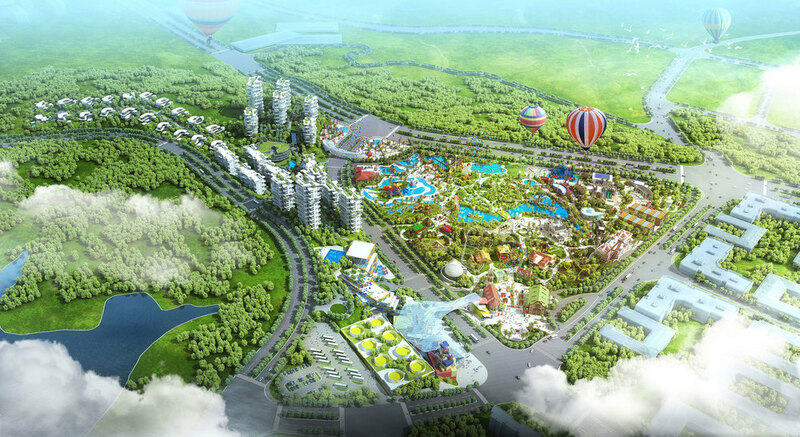 The Lego business model, with its established commercial products and ageless concepts, would elevate this development into a world-class tourist destination. 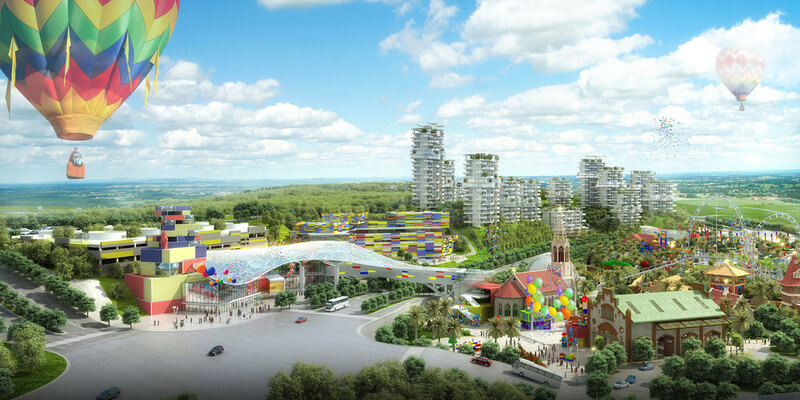 With the projected amount of traffic Lego World would attract the intention is to create a mixed-use development incorporating hotels, residential towers, and a Lego flagship store alongside the theme park itself. With this approach Lego World is visited through adjacent rental properties and hotels while also ensuring a 24-hours non-stop traffic flow of local residents. 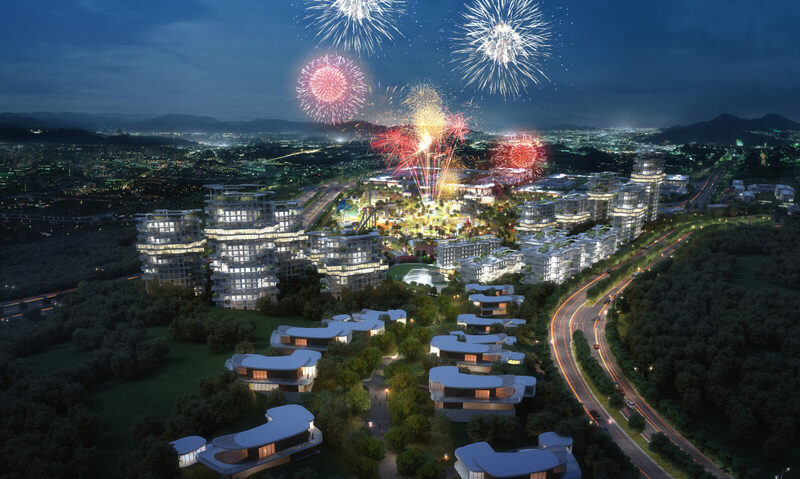 The program is designed as such to create a comprehensive regional development proposal. 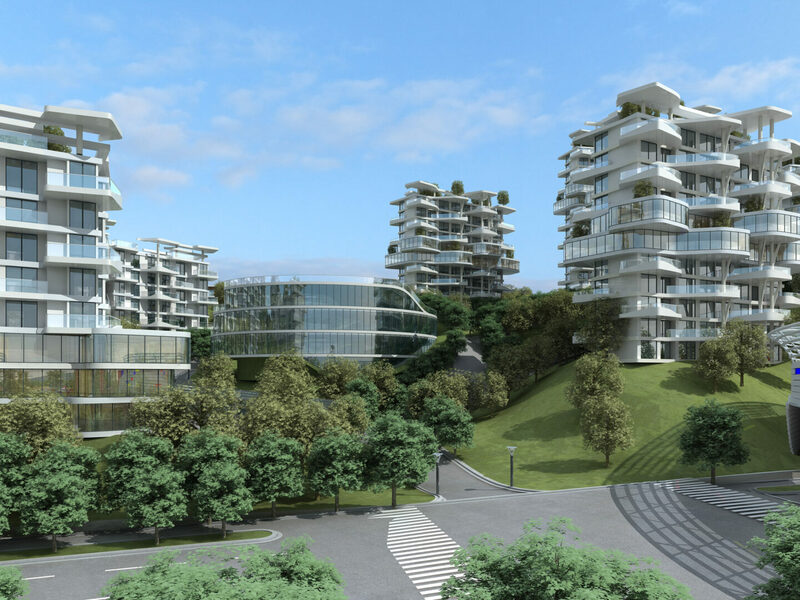 This project was designed by amphibianArc in 2015. Image credited by amphibianarc.